Episode 34 of the Skip To The End podcast is here! On this episode we review the latest collaboration between Steven Spielberg and Tom Hanks, Bridge of Spies. 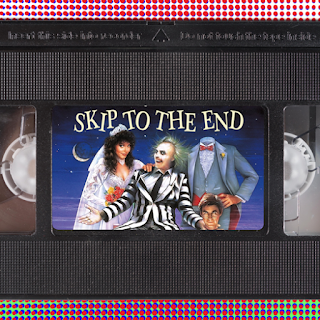 We also debate our favourite movie characters of all time, name the best film of 1996, and rewatch Tim Burton's seminal Beetlejuice. As well as all this we have a prize giveaway, take listener questions, and play our final round of Blockbuster Videos.